It's been a while since I've posted a picture like this, but I do love this series that I did once upon a time showing the Golden Zephyr circling around in Paradise Bay, soaring above the water and leaving a luminous pattern in its wake. It's not a difficult shot to get--just set up the composition and use a long exposure. This one was 15 seconds, so a tripod is key. But the result sure is pretty! 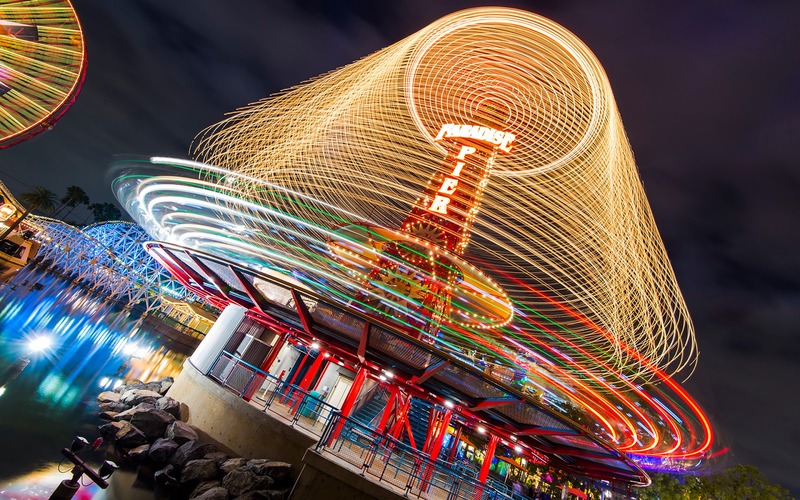 Light trails on the Golden Zephyr swirl next to Paradise Bay.